Pupils at St Mary’s Primary School had a fun time Skyping their French friends. Songs, rhymes and sweets were exchanged with their friendly counterparts from Pierre St George Primary School, based in Normandy. 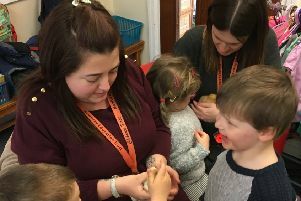 Tesco and Sainsburys also donated bread, brioche, pain au chocolat and croissants so the children were able to endulge in a French breakfast.